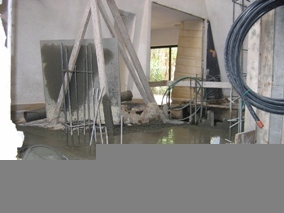 Wheelchair Accessibility – Be'sha'ah tovah, the Yeshiva embarked on an ambitious construction project in Chodesh Nissan – dubbed "Project Negishut", in order to render the Yeshiva wheelchair-accessible. 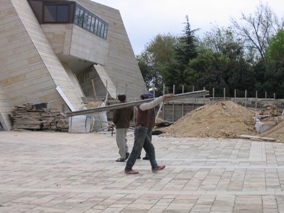 The construction includes ramps alongside all staircases as well as an elevator to the Beit Midrash and a pathway with no steps from the Chadar Ochel to the Pedagogic Library. 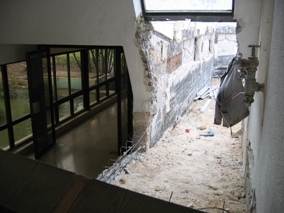 The second stage will also include the installation of an elevator to the Torani Library. Z'man Kayitz began in Yeshiva on 27 Nissan. The Yeshiva continues to learn Bava Batra, Perek "Yesh Nochalin". On Shabbat "Tazria-Metzora", the first Shabbat of Kayitz Z'man, the Yeshiva hosted 70 students of Machzor 40, who will iy"h begin their studies in Elul. 40 talmidim celebrated Yom Ha'atzmaut at the Reishit School in southern Tel Aviv, a new initiative, sharing the spirited singing and dancing of the Yeshiva with the students and community there. The idea was the initiative of Rav Sefi Sherman, a Hesder graduate of Machzor 18 of the Yeshiva, who is the Principal of the Reishit High School. 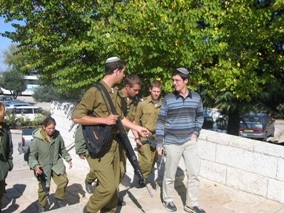 Visitors to the Yeshiva - In recent years, the Yeshiva has hosted many groups as part of a Project of the Gush Etzion Regional Council for soldiers and youth to visit Gush Etzion and learn about the special history of this region. 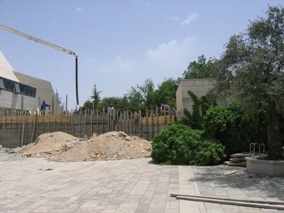 During their visit to the yeshiva, the groups meet with Ramim and talmidim, tour the Yeshiva, learn about the concept of Hesder Yeshiva, and participate in study sessions with Har Etzion talmidim on topics of interest. It is amazing to discover each time the excitement and enthusiasm of many of the visitors, many of whom are stepping into a yeshiva and opening a Gemara for the first time ever. Many groups and hundreds of soldiers and students have visited the Yeshiva in recent months in this framework and we look forward to its continued development. Volunteering for Shevut Am – Yeshiva talmidim volunteer with Ethiopian olim at absorption centers throughout the country, primarily on Shabbatot and Chagim. The goal of the organization is to create groups of volunteers to establish a deep and lasting connection with the olim, in order to help them better adapt to Israeli society, and to encourage the youth to continue to keep their religious way of life.